Deliver a punch of color with this dynamic paper pieced project, with pieced borders to add interest. 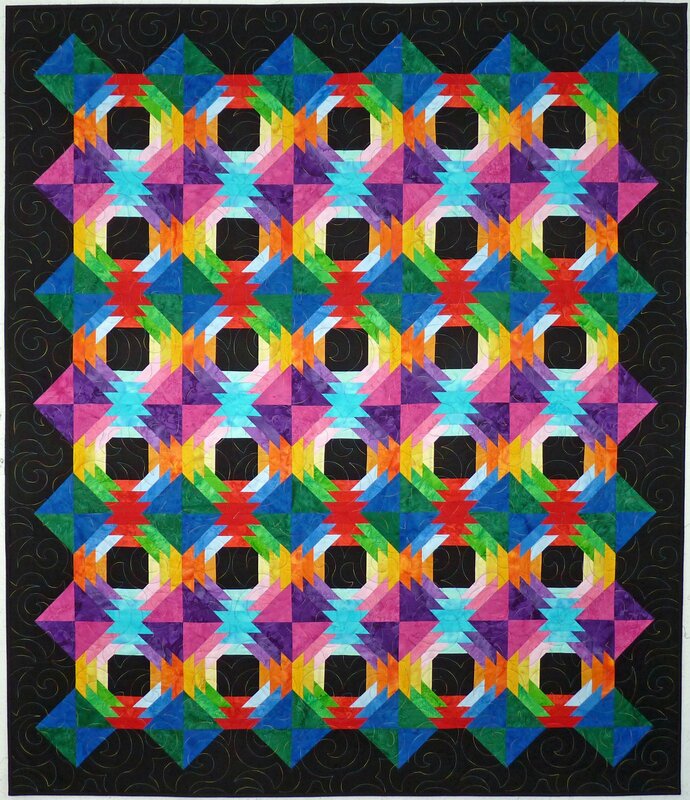 The 51" x 59" quilt is an easy paper pieced pattern! Cover project is pieced with fabrics from Island Batik's basics line.